Page and Larry have owned and operated the Hoge-Wood House Bed and Breakfast since 1993. It has now been in operation with the same owners longer than any other bed and breakfast in Wilmington, NC! This success is attributed to their now famous blend of Southern hospitality and Polynesian charm. Larry was born in a grass hut on the remote island nation of Samoa and is one of 11 children. Larry’s father was in the U.S. Coast Guard and Larry and his family immigrated to Lynn, Massachusetts and then to Wilmington in the mid-1960s. When Larry first moved to the mainland, he had to learn proper English and purchase his first coat! Larry’s fun-loving and adventurous personality allowed him to transition from island life easily and quickly. 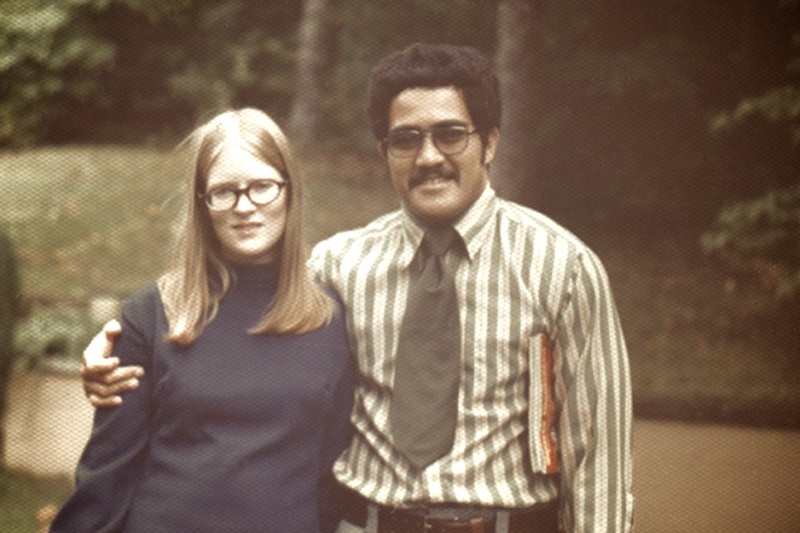 Larry’s mother and Polynesian heritage instilled in him “Fa’a Samoa” or “the Samoan Way”; a mindset emphasizing the utmost respect and honor towards community, family, culture and faith. Larry extends this philosophy, now sprinkled with southern charm, to all that he approaches he in life! Operating the Hoge-wood B&B also highlight Larry’s business savvy, entertaining skills and his love of cooking. His pecan waffles are absolutely delicious! Page was born in Southeastern, NC and is the granddaughter of a North Carolina tobacco farmer. Page’s father was in the Marine Corps for many years and this allowed Page and her family the excitement of living in different places, including Hawaii. It is rumored that Page and Larry even played at the same park when Page’s family lived on Oahu. Throughout the adventure of living all over the U.S., Page is a southern belle at heart and embraces her Southern upbringing. This is reflected in the comfortable style of the Hoge-Wood House and Page’s cooking! Homemade breads are a specialty, and she still prepares biscuits the same way her grandmother taught her over 50 years ago! Page’s experience as a registered nurse and her easy-going personality will instantly make you feel welcome at the Hoge wood House B&B. Larry and Page attended historic New Hanover High School (about a mile down Market Street), and both graduated in the class of ’68. After marrying soon after high school and starting their family and careers in Virginia, they were brought back to Wilmington in the mid-1980?s when Larry accepted the head football coaching position at E.A. Laney High School. After teaching and coaching for 37 years, Larry has now retired. Page has been a registered nurse for 30 + years and has been a teacher for the past 12 years. They have been married 43 years and now their four children -Leilani, Katherine, Joshua and Gabriel all have children of their own! It is quite busy at their house every holiday season, especially when all 10 grandchildren are running around! Together, Larry and Page combine their unique talents to make your stay at the Hoge Wood House comfortable and memorable. It is the blending of their unique cultures that make staying with them special. Running a bed and breakfast was a long-time dream for Page and Larry. They thoroughly enjoy meeting and interacting with new people! Traveling together over the years they became accustomed to the intimate atmosphere of bed and breakfasts. 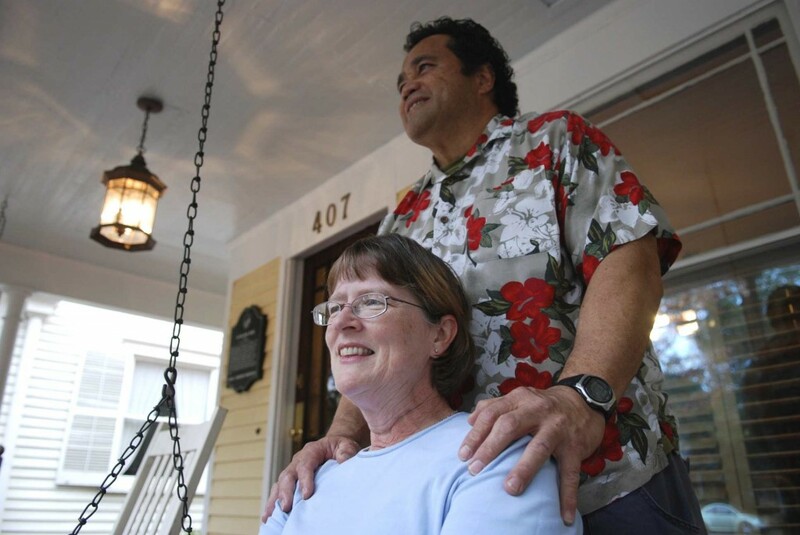 Today, Page and Larry cherish their good fortune of being able to introduce their guests to the area they call home and being able to display a little of their Southern hospitality and Polynesian charm that is adored by many. For almost 20 years, they have enjoyed welcoming visitors from all over the world into their home. Whether they are grinding coffee beans for your perfect cup of brew, helping you map out the route to Wrightsville Beach, or finding that special place for dinner; Page and Larry will always go above and beyond to meet your expectations!